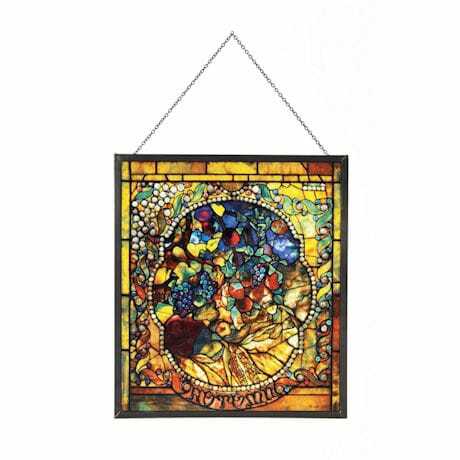 Florida's Charles Hosmer Morse Museum is home to many priceless works by Louis Comfort Tiffany. 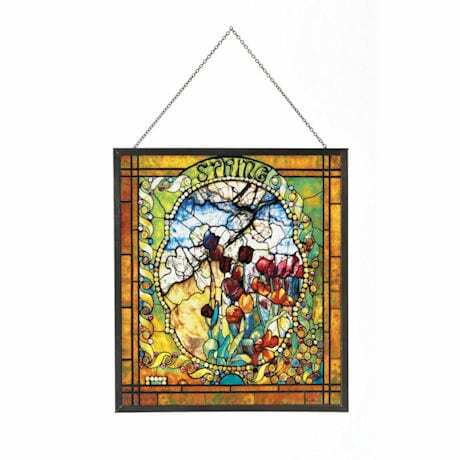 Among the most famous is The Four Seasons (1892), created as a single window and later divided into four pieces for installation in the artist's summer home. 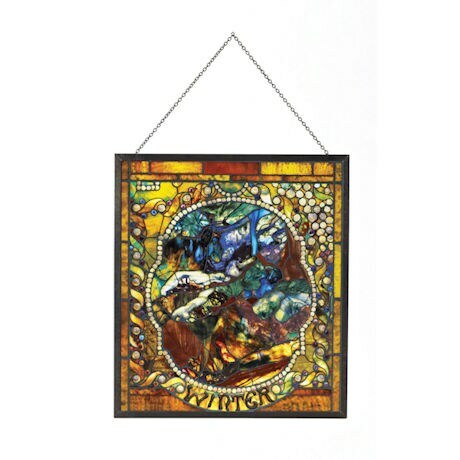 Reproduced with permission from the museum, art glass panels are printed and kiln-fired, one color at a time, to fuse the pigments to the glass. 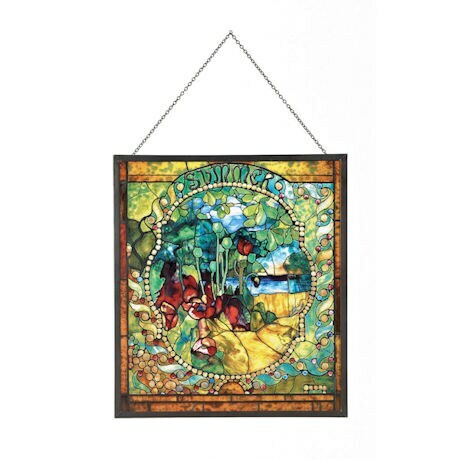 Framed in metal, each 8" x 9" panel comes with a hanging chain and wood stand. Specify Spring, Summer, Autumn, or Winter.